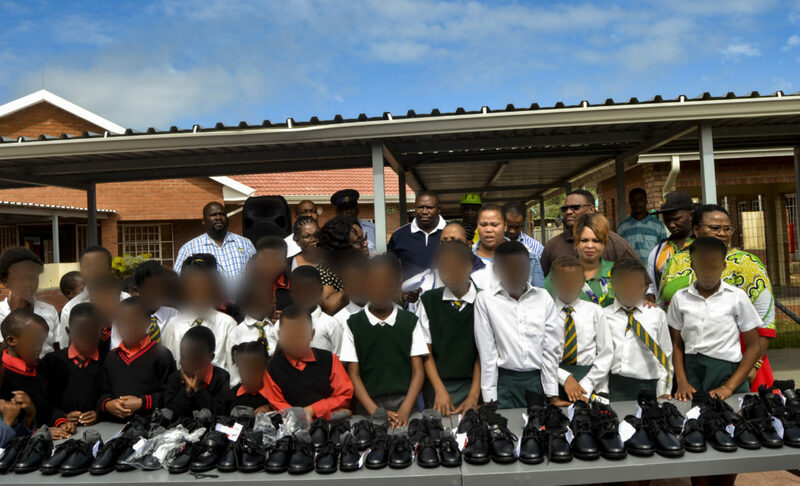 On Friday 15 March, a service provider and event organiser Siyabulela Madyo and DSRAC led by Senior Manager Vuyiseka Nokhenke, donated 51 shoes to underprivileged children of Klipfontein in Ndlambe Municipality. 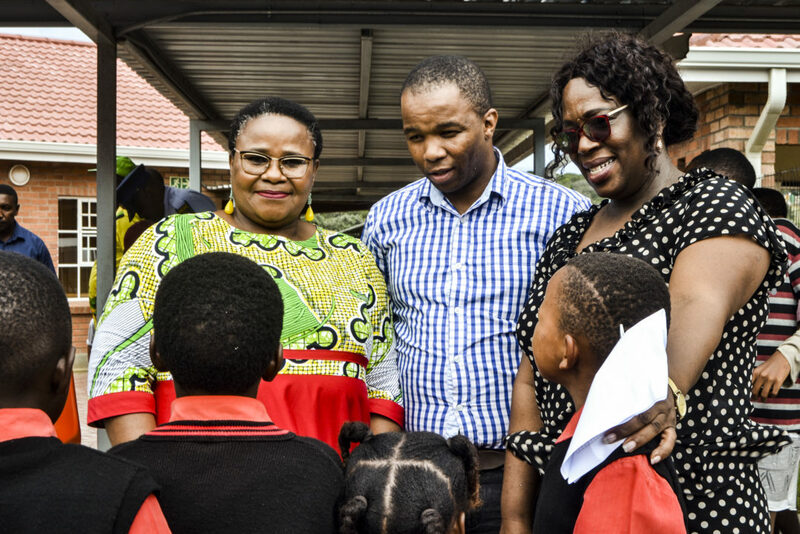 In an event that was held in Klipfontein Primary School by DSRAC, where MEC of Arts and Culture Bulelwa Tunyiswa was also a part of, saw children who come from single headed homes, or living below the breadline having their basic right to decent shoes fulfilled. 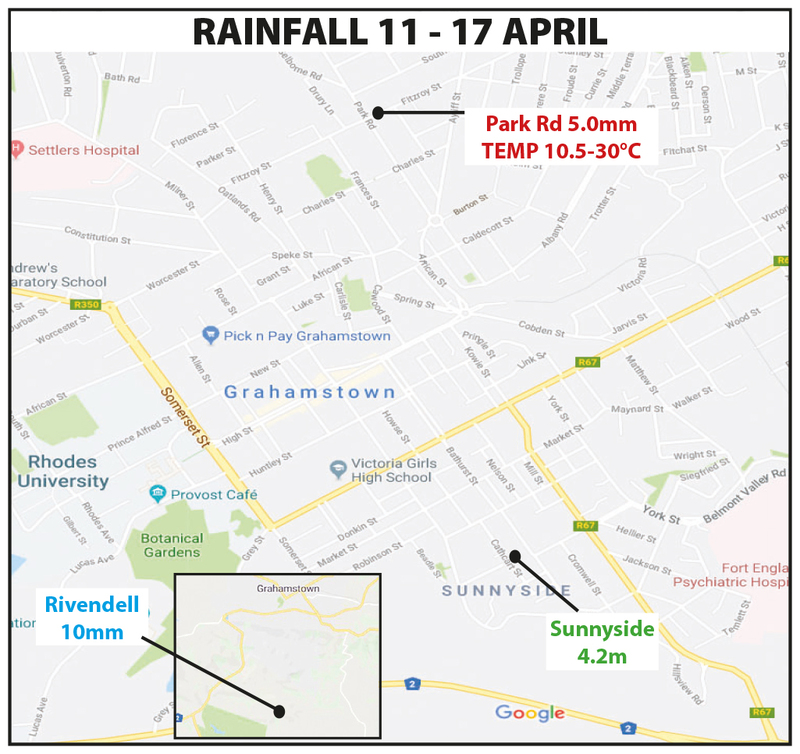 Pupils from Klipfontein Primary School, Shenston Primary Farm School and Wilson Party Farm School were left thrilled as they will now go to school with confidence. Last year 23 December, Siyabulela Madyo better known as Ivy held a Ndlambe Music Festival at Prince Magongo Stadium in Port Alfred. He made a promise to give back to the community of Ndlambe Municipality, that he now fulfilled. The event in Klipfontein Primary was supported by SAPS, Sarah Baartman District Munipality and Ndlambe Municipality, led by councillor Xasa. Sarah Baartman District Munipality Portfollio Head for Corporate Services, Zamuxolo Peter told the crowd that he always had a belief that Siyabulela Madyo is capable of laying a helping hand were neccessary, and that the service providers can a learn a thing or two from him. “It was my best day ever today, I’m happy because children who didn’t have shoes got their prayers answered” said Ivy. 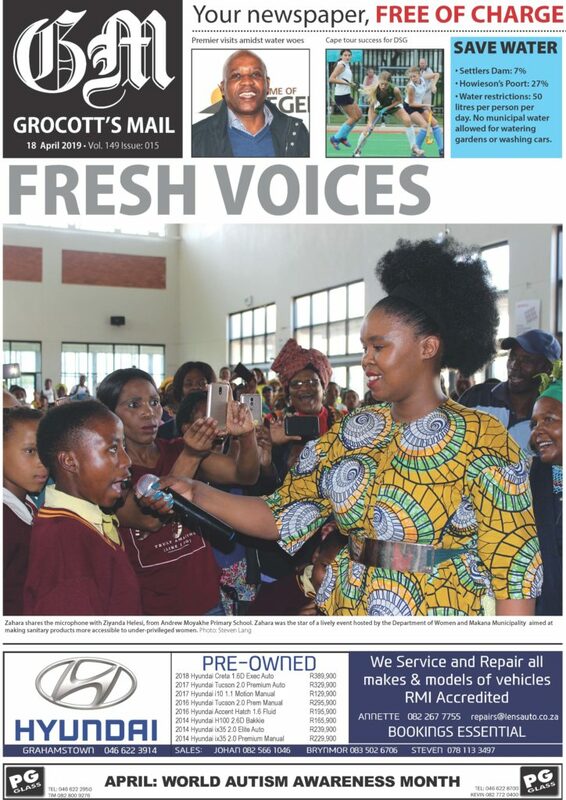 The residents and school teachers of Klipfontein were happy and believe that the music festival managed to be useful to the communities of Ndlambe. The main purpose of the event in Klipfontein was to give back to the community of Ndlambe Municipality and Sarah baartman at large. The event was planned and budgeted for by DSRAC. Local clubs from around the district were invited to collect their training equipment donations, to manage their day to day operations. It was a way for DSRAC to say thank you to residents of the district for allowing DSRAC to utilise them. Azlan Makalima, a Grocotts Mail Online Producer and a Head-Director at Multimedia Makenik, a Small Medium Micro Enterprise on Event Management, Graphic, Audio and Visual Design.